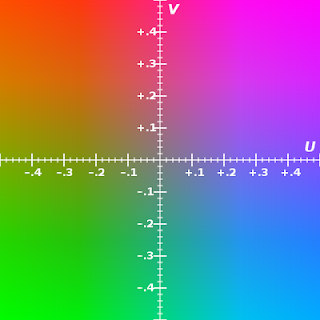 In the YUV color format, Y is bright information, U is blue color area, V is red color area. 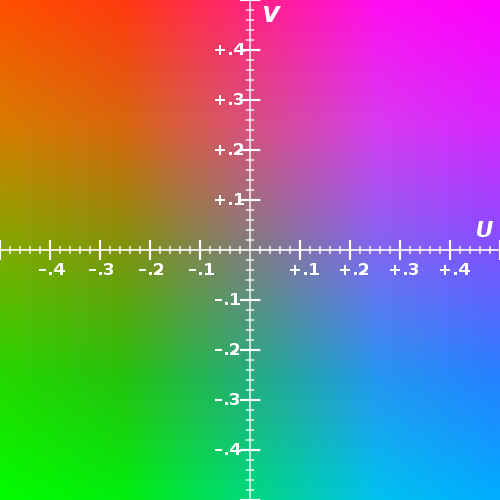 There are 3 type color format of YUV. The types are 444, 422, 411. 444 is one pixel is 24 bits. 422 is one pixel is 16 bits. And U0, V0 is shared by Y0, Y1. 411 is one pixel is 12 bits. This source code is convert code from YUV422 to RGB. And YUV is converted by below fomulation. sorry last source code is broken. So I upload new version convert source code. note!!! check Y position, the position is different as machine environment.. In the source code, stride means real width size.